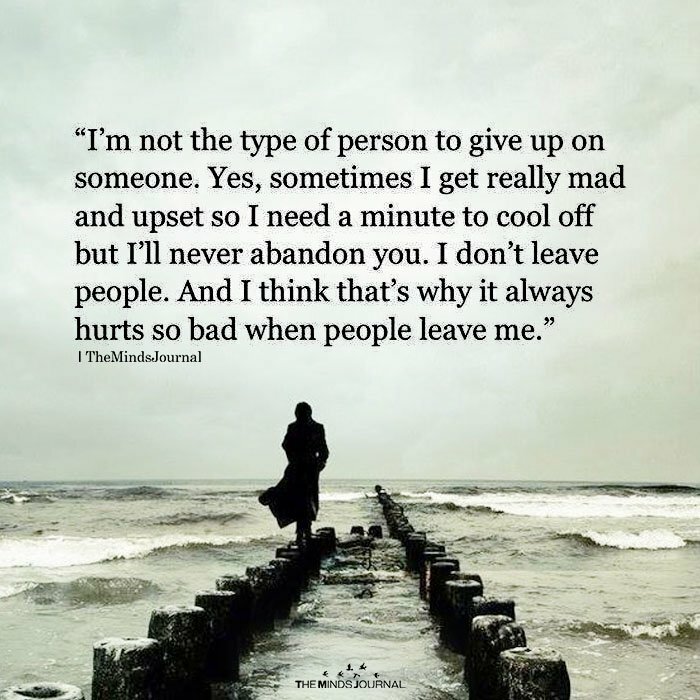 I’m not the type of person to give up on someone. Yes, sometimes I get really mad and upset so I need a minute to cool off but I’ll never abandon you. I don’t leave people. And I think that’s why it always hurts so bad when people leave me. There is always room in my light for the friends that betrayed me and chose the darkness, you know who you are! Sometimes though, when you’ve tried all you can and the other person’s behavior is starting to negatively impact you, then you have to set limits for your own well being. Sometimes, unfortunately, we have to leave people, not because we want to but because we need to. I never leave the people…If they don’t talk to me, I will keep them in my heart❤ But, I will never leave them.